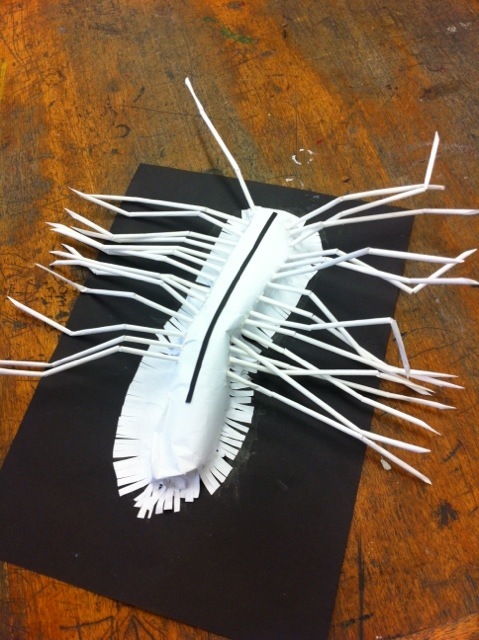 This week’s ‘AOTW’ comes from Laura H (S2/OLSP). She is working on an environmental building based on a house centipede. She is making a maquette of the centipede first and then developing some of the 3D elements into a factory building. This is part of a new engineering promotion initiative and her class is entered into a competition to try and win. If they all continue to be this good, I think we just might win it. Well done Laura!